At Wurth USA, we have a full range of top-quality body shop products and supplies to outfit any auto repair business including rivets, cutting disks, clips, pins, and automotive tapes. Our body shop supplies come in an extensive variety of specs, so whether your business is devoted to restoring classic cars, maintaining cargo fleets, or repairing exotic imports, we have the auto body shop supplies needed for any job. 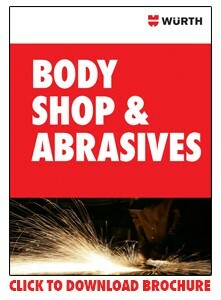 To see our complete line of body shop supplies, visit our online catalog.